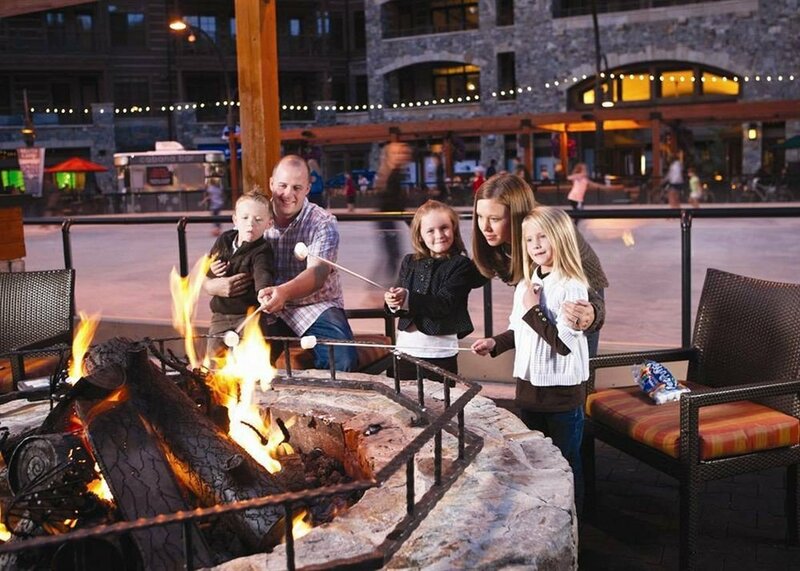 At the edge of Heavenly Village, a short walk to the gondola, Forest Suites Resort is a family favorite with huge rooms and resort-style amenities. 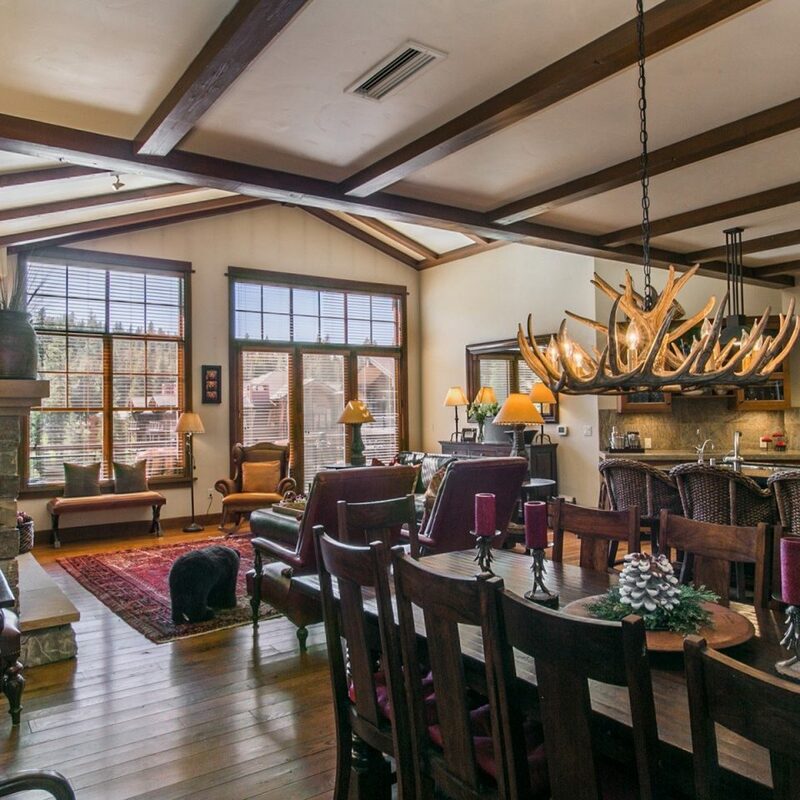 The vast lobby is done up in traditional mountain style, with chalet-like eaves, a centerpiece stone fireplace and an eye-catching metal chandelier. 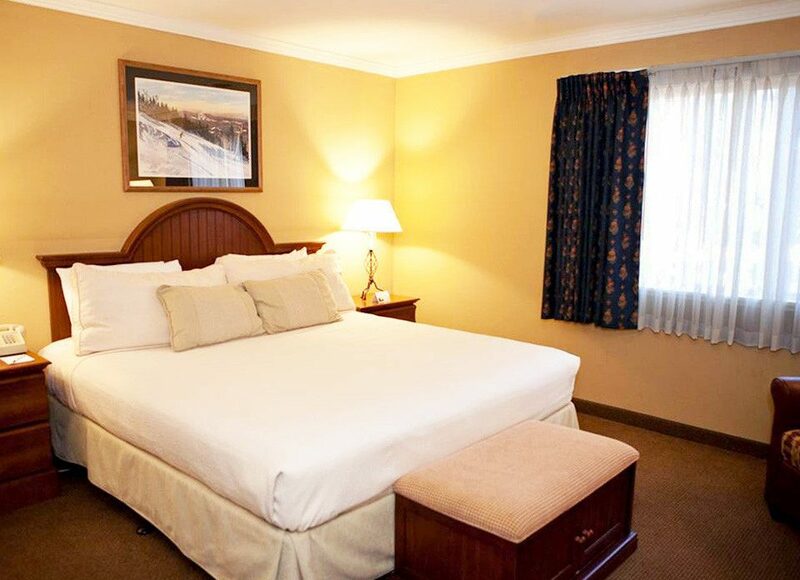 Guestrooms start at a huge 650 square feet and sleep four or more guests in king beds and pull-out sleeper sofas. Most have full kitchens and open-plan living and dining areas, plus en-suite bathrooms with single vanities and over-tub showers. 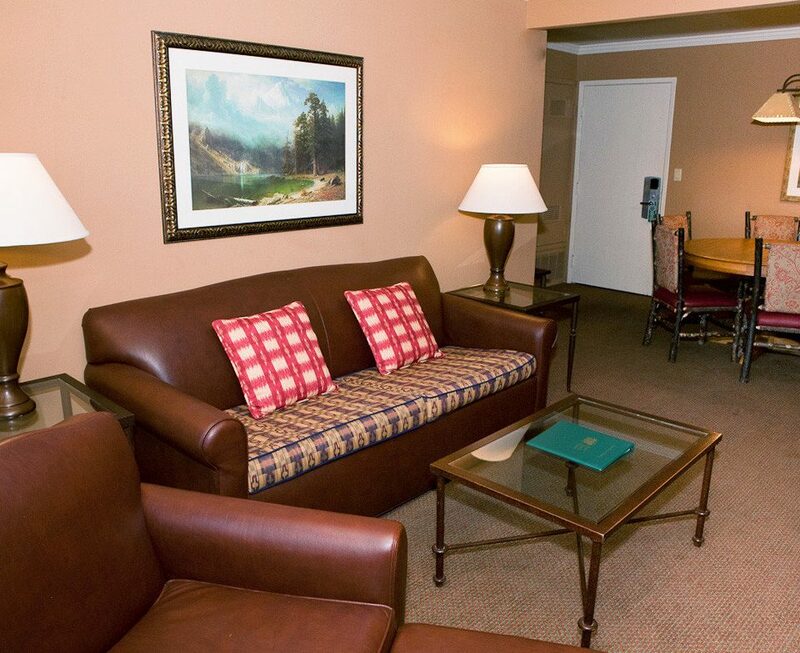 For larger groups or longer stays, two-bedroom suites offer an extra bathroom and more living space. While there’s no restaurant, guests can fuel up on a hearty (and free) hot breakfast spread of sausage, bacon, eggs, fruit, oatmeal, baked goods and more. 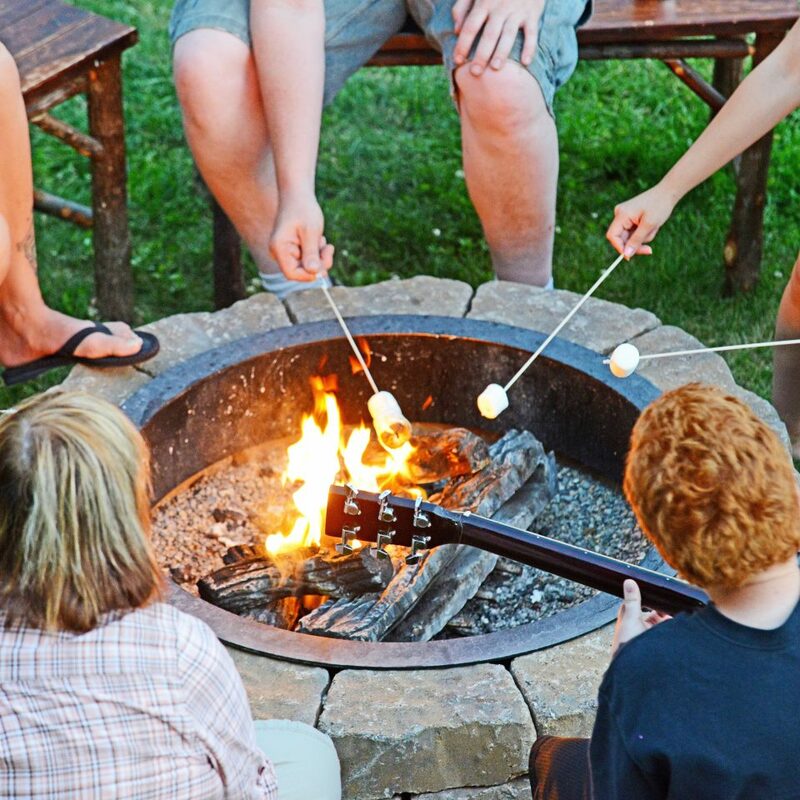 Hot coffee is available in the lobby round the clock, and there are fun seasonal food treats including a wine and cheese reception and s’mores sessions by the outdoor fire pit. 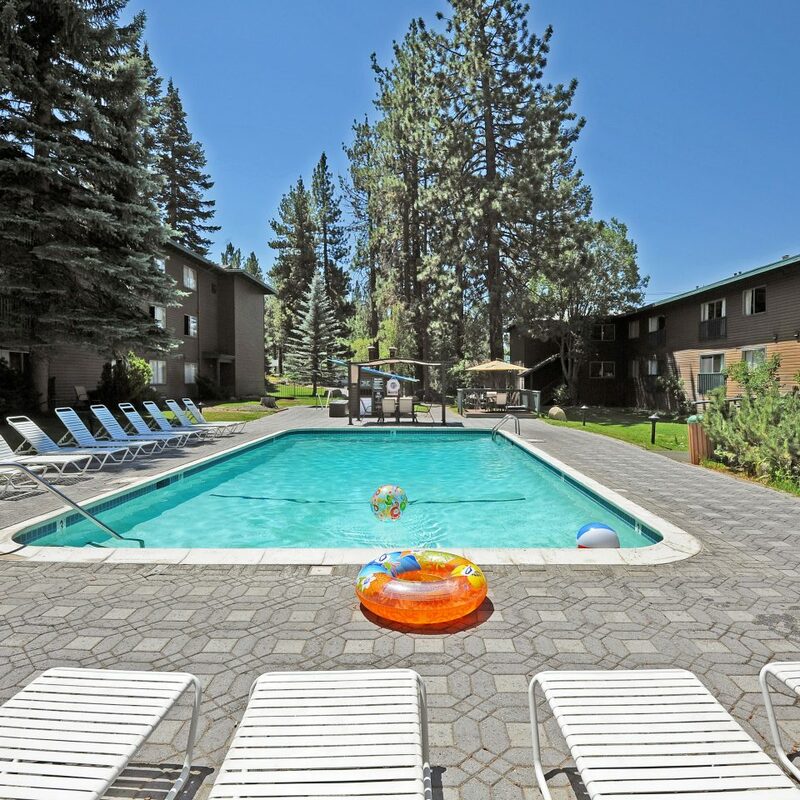 The hotel has an outdoor pool (open in spring and summer only), an XBOX game room, occasional movie nights and special events like weekend pony rides, a hot chocolate bar and ice cream socials. 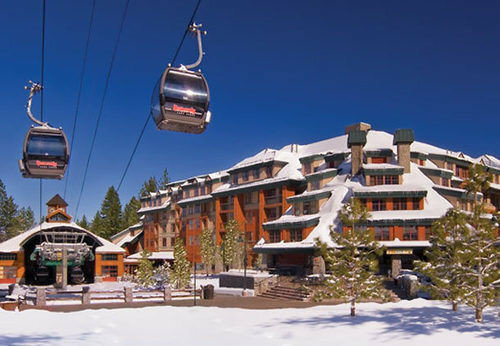 Catch the Heavenly Gondola up for pristine pistes and stunning Tahoe vistas. 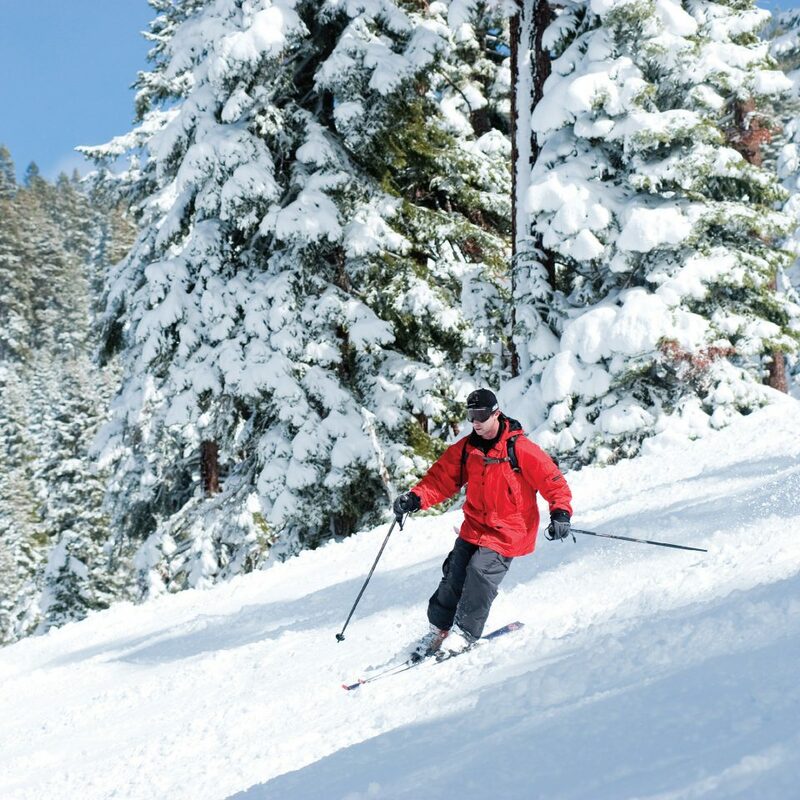 Whether you’re snowshoeing, cross-country skiing or snowmobiling, there’s plenty of winter sporting fun to be had off-property in the surrounding Sierra Nevada mountains. When ski season ends, Adventure Peak (9,100 feet) picks up the action with a rock-climbing wall, restaurant and hiking trails galore. 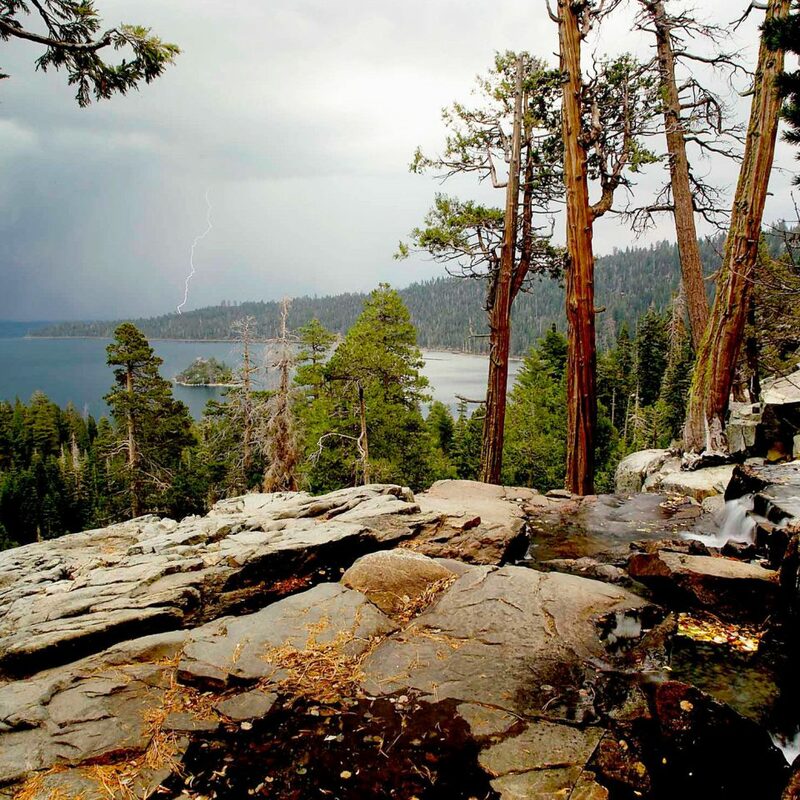 South Lake Tahoe is right by the Nevada border, where all the casinos are located. Harrah’s, 10 minutes down the road, is the largest, and it frequently hosts big name entertainers in its South Shore Room. 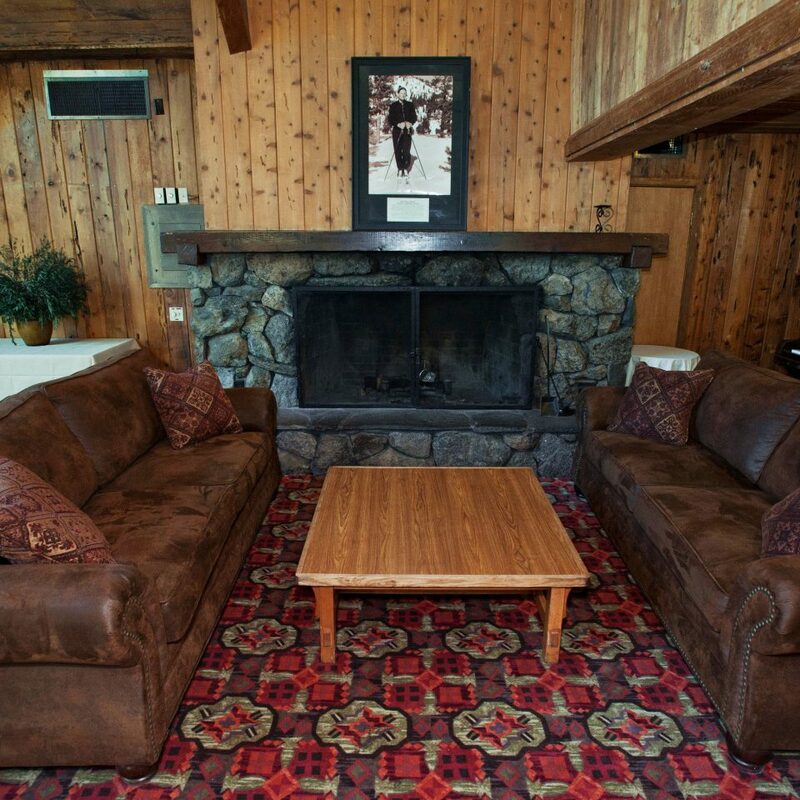 The resort is close to Heavenly and the staff was friendly - probably the only "pros". The location is right next to Heavenly's parking garage and didn't feel very safe (plus there are lots of signs to remind you not to leave anything in the car). The room was technically clean but very dingy - lots of paint chips and cracks in the walls and features. The faucet in the tub was sideways, and we were too afraid of flooding to use it. The hot tub was the saddest I've ever seen - very small, not clear if it was working on not. The real kicker though was the "hot" breakfast. It was downright terrible. Everything was microwaved and somehow both soggy and dried out simultaneously. The "waffle bar" was pre-packed waffles with a toaster, and the toppings were for ice cream (sprinkles, cherries). There wasn't even syrup. We booked two nights and left after one - not worth staying the extra night, even though we had prepaid. i found dealing with hotel mgmt when i had a booking issue to be very satisfying. you can tell it is more a familty run business rather part of some big corporation because they really went out of their way to help us as best they could. Roberto was very professional and an asset to this resort. the resort is in a fantastic location. park your car once and dont touch it till you leave several days later. We had a fantastic experience! The checkin and checkout went great! All the staff we came across were extremely professional and sweet! The suite was very roomy and clean. We really enjoyed the spa and breakfasts!!! 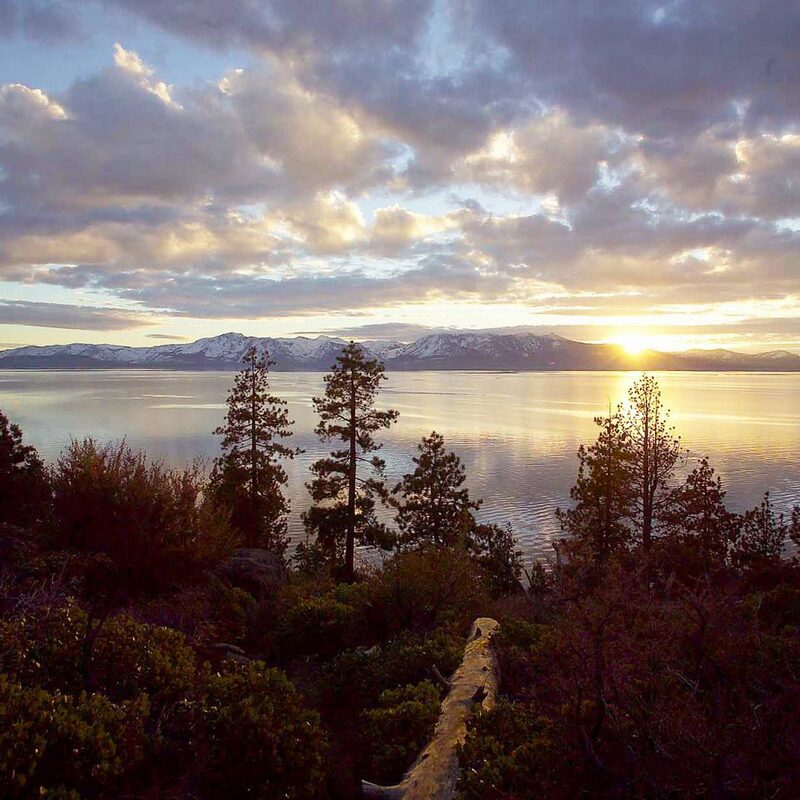 It’s centrally located to the lake, casinos, Heavenly ski resort, shopping, and delicious restaurants. We will definitely stay here in the future!!! Wonderfully located right next to Heavenly gondolas on South Shore. A block away from Harrah's, Harvey's and Montbleu casinos. 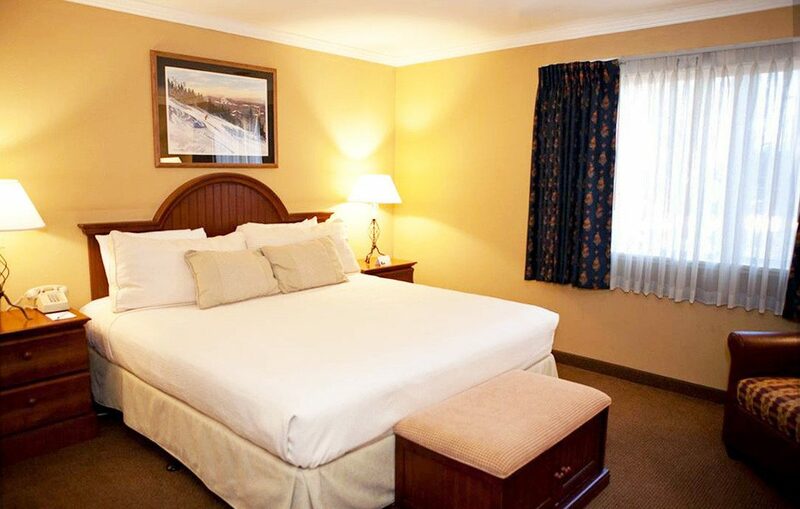 You can enjoy all the amenities of a tourist hub with a 5 min walk. 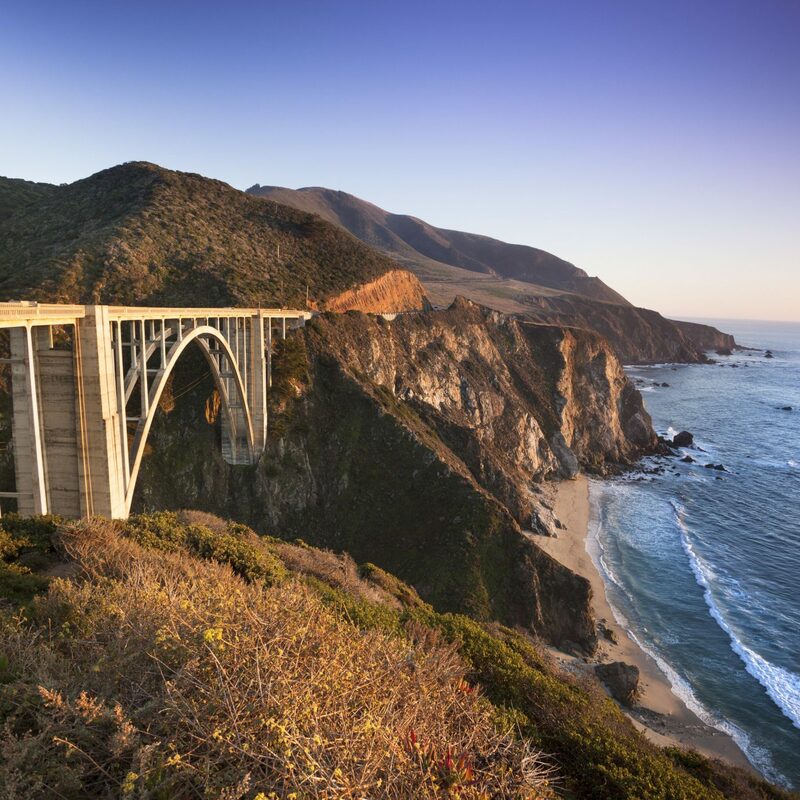 Plus, right across the street from the new Van Sickle BiState Park that offers all-access trail that begins in CA and crosses into NV. Forest suites must have been a beauty when first built but needs some TLC BUT its location and customer service are on point. 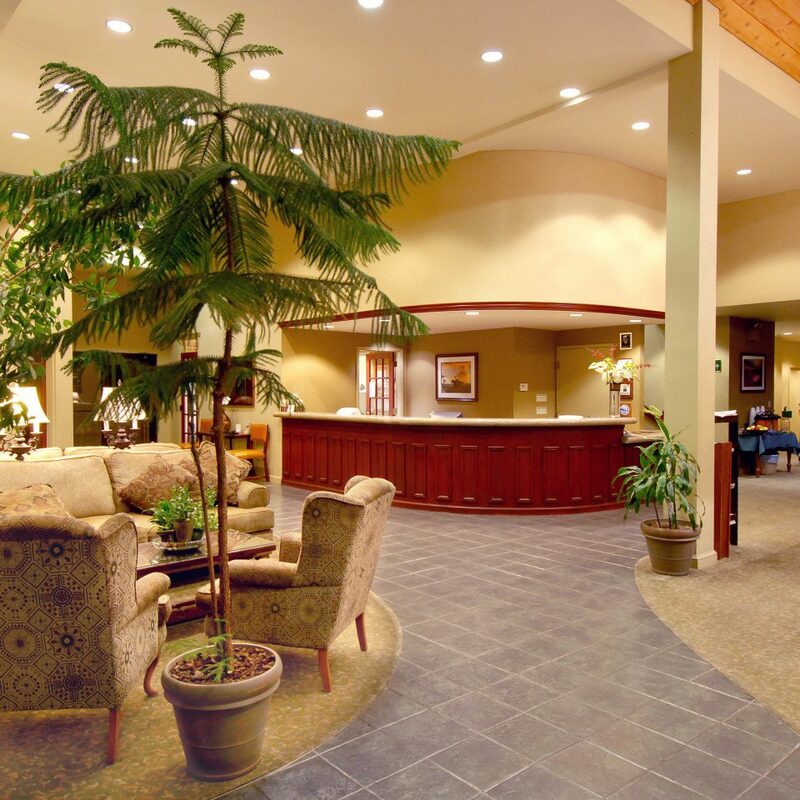 From reception to included breakfast buffet, they aim to please. They have a small events venue near front lobby that hosted two weddings during our stay. 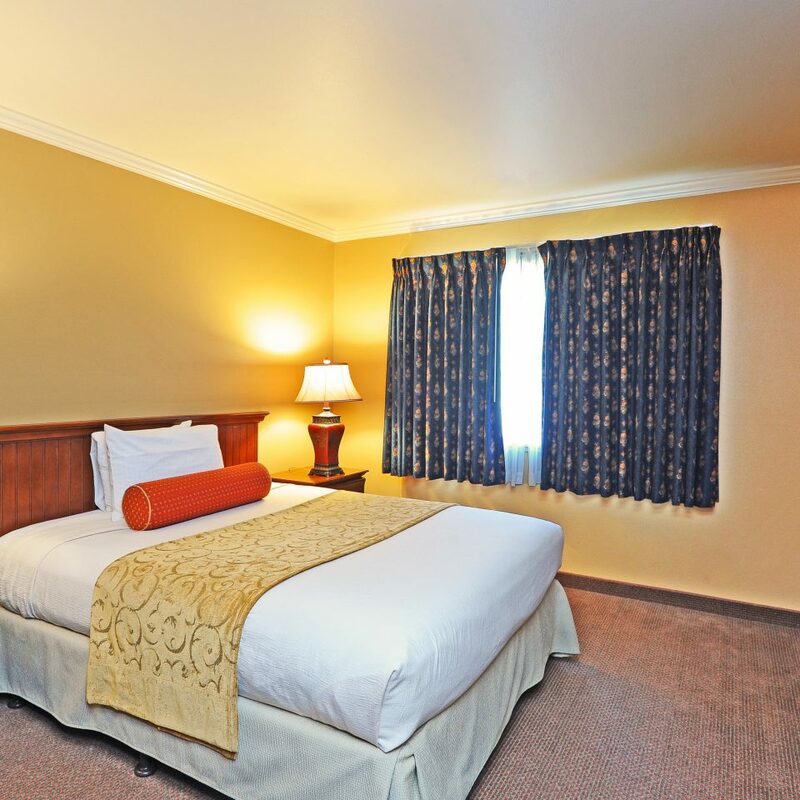 Our roomy suite had a comfortable sofabed, dining area, small kitchen with full stove and fridge and necessary utensils, large screen TV with basic cable, and a very comfortable king-sized bed in bedroom with two large closets. Did see some adults and kids enjoying the small hottub in the courtyard. Breakfast had all the basic breakfast amenities and the staff graciously worked hard to keep up with the large crowds going through each morning. Our requests for additional towels were always promptly met. The price for our room was right under $450 for 3 nights w/breakfast, a great deal for Spring Break week. We were there for 4 nights, 5 days. We stayed in a regular room but would stay in a suite next time. Our location was in the building behind the lobby building. It had parking underneath which would be great for winter visitors. The room was dated but very clean. I would say that about the entire property, dated but clean. Great breakfast buffet each morning! 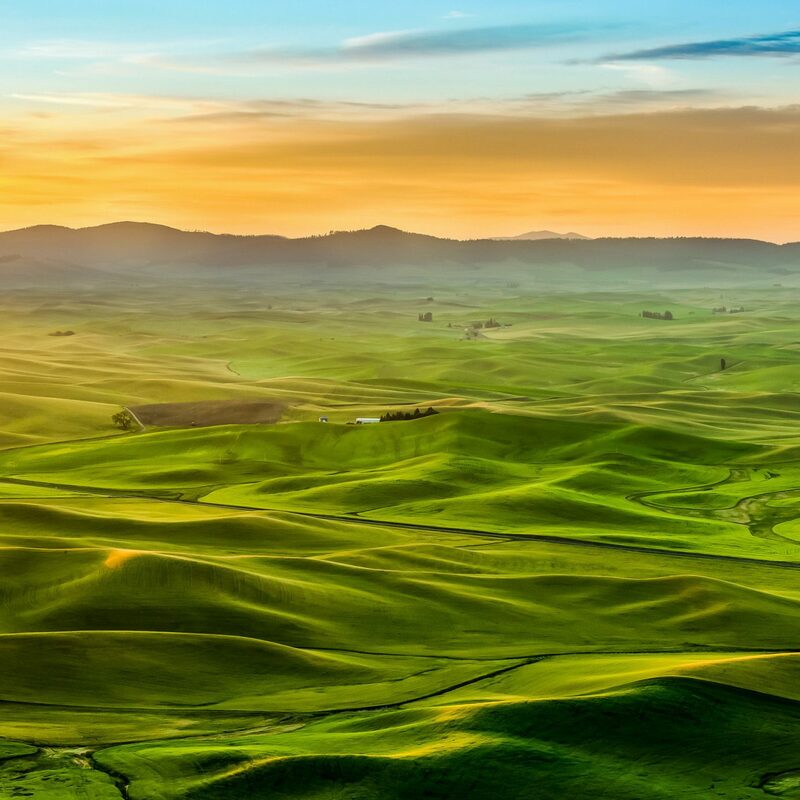 The location is excellent, near the village which has lots of shops, restaurants, movie theater, grocery, etc.. Very quaint and enjoyable. Easy walk to the lake. Lots of areas to walk and enjoy the trees and nature. Right next to the Gondola up to the mountain. We don't ski or snowboard but it was definitely worth the $60 trip. The best part of Forest Suites Resort is its employees. The staff from the front desk to housekeeping, grounds keeping, and breakfast were fast, courteous, friendly and top notch. Oh and they also had daily activities including a free wine/cheese, hot chocolate bar, smores cookout, and more.